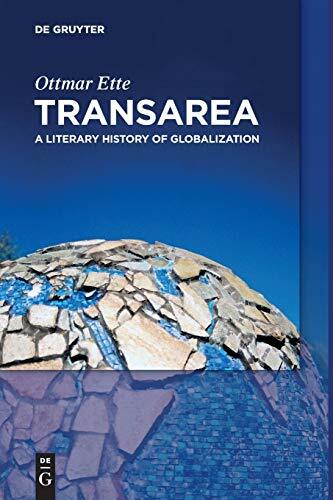 Ottmar Ette's TransArea proceeds from the thesis that globalization is not a recent phenomenon, but rather, a process of long duration that may be divided into four main phases of accelerated globalization. These phases connect our present, across the world's widely divergent modern eras, to the period of early modern history. Ette demonstrates how the literatures of the world make possible a tangible perception of that which constitutes Life, both of our planet and on our planet, which may only be understood through the application of multiple logics. There is no substitute for the knowledge of literature: it is the knowledge of life, from life. This English translation will be of great interest to English-speaking scholars in the fields of Global and Area Studies, Literary Studies, Cultural Studies, History, Political Science, and many more. About the author Ottmar Ette has been Chair of Romance Literature at the University of Potsdam, Germany, since 1995. He is Honorary Member of the Modern Language Association of America (MLA) (elected in 2014), member of the Berlin-Brandenburg Academy of Sciences and Humanities (elected in 2013), and regular member of the Academia Europaea (since 2010). Ottmar Ette, Potsdam University, Germany.